Happy new year! My first book of the year was finished a little hour into the second day of the year. This is the first review I’m doing on request by the author which makes it kinda a big deal to me! 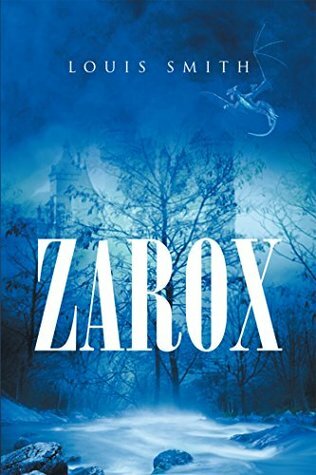 I think Zarox will mainly entertain young adults, but if you are on the more childishly side of adulthood, then I’m pretty sure grown-ups will enjoy it too! Parker, Callum, Riley and Lucy may seem like regular children. They go to school, they are friends, they have a family and enjoy a little danger now and then. On one nightly adventure, they discover a hidden button at the school entrance which transforms their lives. All of a sudden they are in a different world. Their nasty teacher, Mr Hobbs, is something called a ‘glother’, whatever that means and they have never seen anything like the world they are currently in. Parker and his friends soon discover that this nightly adventure has turned into something way more serious than they have ever encountered before. They set out to help a new friend while gaining some new ones and some new mystical powers that makes them not so ordinary anymore. I like this book. I think my 15-year-old self would have enjoyed it even more. That’s kind of sad, isn’t it? That I’m able to say that? But anyhow, I enjoyed the book because I haven’t read something like it before. This book is kind of Harry Potter, Lord of The Rings, Narnia, Percy Jackson with creative sprinkles thrown into a giant mix and reborn into something new. It has a dragon (which every good story needs in my opinion), magic, mystery, adventure, excitement, friendship and trials for the heroes. I think what makes this book exciting, and maybe especially for young adults, but also quite possibly parents, is that you can’t expect what will happen when you turn the next page. You may think that you have figured it out, but I can almost guarantee you that you have not. There are new creatures that you have never heard of before and quite honestly my practical brain has some issues with visualizing them all, but I think I got a little hang of them at least. The ‘glother’ was the worst one for me to imagine. I could only see a big, slimy, mutant slug in my head haha. The characters of the book are quite a good mix. My absolute favourite is Rotlier Rum. He is what is called a ‘trallop’, a little creature with big eyes and the ability to creates balls of light. 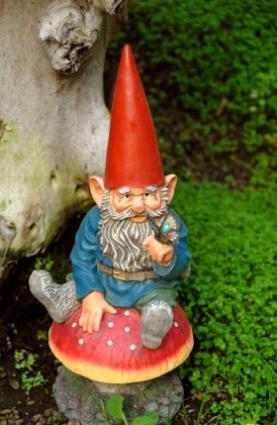 In my head, he looks like a Norwegian garden gnome (see picture below) with huge eyes. Rotlier speaks with a Scottish accent, at least from what I understand, and he doesn’t speak grammatically correct, which is his best feature according to my opinion. He made me laugh out loud several times due to his funny grammar. The children each have several good features that make it hard for me to pick a favourite among them, and when they pick their crystals (#spoileralert!) it gets even harder to pick a favourite. I’m going to let you pick your own when you read the book. I think you will like this book because it is new and different. It is funny but has some excitement curves along the way, and like I said, you never know what’s going to happen!